WARNING! Do not read this page unless you are really serious about achieving your personal dreams. "Haven't you waited long enough?" "How many more failed relationships?" "How many more forgotten dreams?" "How many more lost opportunities?" "How many more years of carrying that extra weight?" "How many more moments of happiness lost to anxiety, worry and stress?" "How many more years with no peace in your life?" "How many more oceanfront vacations passed up?" "How many more years of 'I should've, I would've, I could've?" "How many more years at that toxic job you can't stand?" If you want more in your life: more happiness, more fulfillment, more meaning, then please read on . . . This is not just another course on life coaching and motivation. This is an inspirational, life-changing eight week event that can truly change the course of your life. With daily e-mails designed to lead you directly to the achievement of your goals, you will finally have the tools you need to achieve and maintain lasting success. It's your chance to let me help you. Using state of the art motivational strategies and tools for personal growth, you can achieve whatever it is you want in life. Whether your goal is greater wealth, personal growth, a healthier relationship, less stress, overcoming negativity or ridding yourself of unwanted habits, extra weight or lack of spiritual fulfillment. Even if your goal is to find a goal in life, to find a greater sense of direction, to figure out what your purpose in life is. . .
And with it, will come the self-confidence, the personal growth, the self-esteem and the character refinement that are at the heart of all success in life. Discover your full potential for fulfillment in life. Say goodbye to unresolved anger, guilt, fear, hurt, depression, negativity and disappointment in your life. Say hello to a new, fulfilled and confident you, marching confidently in the direction of your dreams. I wish you all the very best, and I have no doubt in my mind . . . no doubt at all . . . that "You Can Do It!" You know you are seeking a new level of healing and fulfillment in your life, but you DON'T know how to get there. You know that you are seeking greater health and well-being in your life, but you DON'T know how to achieve it. You know that, with just the right tools and guidance, you could turn the corner and find the level of hope, energy and optimism you need to achieve your dreams. What you need to succeed lies within you. You know that. But the question is, do you know how to tap into that power within? That's why I recently decided to put together the greatest motivational tools and strategies you will ever find in one and reveal to you the inside workings and success secrets of all those who have made it to the top of their field . . . no matter how you define success. These are the very same tools I use every single day to help transform patient's lives from fear to freedom, from surrender to serenity and from pain to peace. Now you can achieve what you truly want in life, overcoming whatever obstacles stand in your way. Daily e-mails from me for the next eight weeks delivered right to your inbox. Daily motivation with each lesson designed to personally inspire you and fire up your attitude for success. Daily inspiration with success stories, parables and motivational quotes to help you realize your full potential for growth and change. Daily lessons using state of the art technologies for change that will help you move step-by-step towards the achievement of your dreams and goals. Daily exercise and homework assignment (a short one!). Don't worry, this is not like the assignments you used to do in school. It is not busy work designed to keep you occupied. These are life-changing assignments that drive home the day's lessons so that you can fully integrate these principles into your mind, body and soul. Daily emotional support to help keep you on track and deal with the inevitable difficulties and stresses of setting any new goal in life. Weekly review sessions to help you completely absorb these lessons into every fiber of your being. By reviewing what you've learned every week, your success will build and build over the course of eight weeks. You will begin to absorb the lessons and have them penetrate into your very being. This is the only way to lasting change. Daily opportunity to actually achieve your goals in life, self-actualize and become the person you were meant to be. Whatever your goal is, my e-mail will be there to help you every day for the next eight weeks, with the latest strategies for behavioral change and the successful achievement of your goals. Just follow the daily lesson and do the daily assignments, and it is like having me as your own personal coach, mentor and trainer! You already know the answer to that. Of course not -- nothing that's worth achieving ever is. Timothy Gallway, author of The Inner Game of Tennis, used to say, "I can teach you all -- in less than 5 minutes -- how to never lose another game of tennis in your life. Would you all like to know the secret to such success?" Of course, everyone screams, "Yes, yes, I want to know." "Okay," says Timothy, "get out a piece of paper and follow along closely. Write down these words carefully. Here they are: 'Never, ever again play anybody better than you are!'" There it is! Simple, right? Wrong. Because you and I both know that achieving anything great in life takes work, dedicated effort and commitment. Why? Because, as Mr. Gallway says, "We define ourselves in and around our ability to overcome obstacles in life." And so it goes with achieving your dreams in life. It will never be easy. There will be obstacles to overcome and old patterns of negativity to deal with. There will be unfinished business and recycled fears that come to block your path, haunt you and try to halt your progress. But I will be right there with you, to help you overcome your negativity, work through your unfinished business and confront your fears so that you will and can achieve whatever your dreams are. With every e-mail you receive, you will actually follow a step-by-step guide with multiple examples to lead you quickly on your own path toward your own dreams. ... this course requires brutal honesty on your part and the willingness to hold nothing back! I truly hope that you will come aboard and start this incredible journey towards becoming the person you were truly meant to be in life. It will be my honor and privilege to guide you along the way. I honor you for your courage and your willingness to reach for your full potential. That is a very important question to ask, and I'm glad you did. Through my books, tapes and seminars, I have helped thousands of patients in their quest for greater physical health, emotional well-being and spiritual peace of mind.Over the last 20 years, I have studied and learned from some of the greatest minds in the field of mind/body medicine and spirituality, utilizing these concepts to help bridge the gap between traditional and alternative medicine.Bringing together the ideas of science and spirituality, I have been able to help my ill patients understand how to use their physical symptoms and illness as tools for greater physical, mental, emotional and spiritual growth. For my physically healthy patients who feel emotionally unfulfilled or lacking in a deeper sense of purpose in life, I utilize the same principles to help them achieve a definite sense of connection, belonging and meaning in life. Is there any greater joy than connecting to your special gifts and utilizing them to help make your own life and the lives of others better because of them? That would be worth something extraordinary, don't you think? To be able to find and actualize your full potential in life! Some of my mentors and teachers are well-known and highly respected leaders in the field of mind/body medicine and spirituality. get that new job that fills you with a sense of accomplishment and contribution? know that you have the skills to make your relationship really work and last? lose that extra weight for good and finally fit into that new dress or new suit? move into that house with the ocean view? take that dream vacation with your family? know that you have conquered your anxiety? are genuinely happy, knowing you are doing what you love and living a meaningful life? generate more income in a month than you now do in a year? know that you are no longer powerless to change your life? grow in wisdom, character and understanding? have your retirement safe and secure? know that you can truly love others? know that you are truly loved? know that you can stop feeling depressed and reclaim your personal power? WHY NOT LIVE IT TO THE FULLEST? If you're like me, I know you may be overworked and overstressed with virtually no extra time to spare. So you need something that works quickly and effectively to reduce your stress, repair your attitude, restore your health and rebuild your sense of hope. "You Can Do It!" is the super highway to achieving your dreams and improving your attitude. It won't be easy, but all the tools you need are here. No matter what diet you go on, what self-improvement courses you take, what job you pursue . . . this program holds the key to your success -- the key to achieving your goals. Here's some of what you'll learn. Most people think, "I'll never be happy until I'm successful," but the truth is "You'll never be successful until you're happy." We all suffer one of two pains in life: 1) the pain of discipline or 2) the pain of regret. Which do you choose? Being a winner takes not only "will power" but also "won't power." What is won't power? It is a clear vision of all the things that your present bad habits or choices won't do for you. Success is not the result of spontaneous combustion. You must set yourself on fire. This means holding your dream so clearly in mind that the pain and discipline required to achieve it pales in comparison to the pleasure and joy of reaching for it. All success requires a dream, a team and a bit of a scheme. Always remember "the price and the promise." If the promise is clear enough, you'll be willing to pay the price. Don't do things to not die! Do things because they make life more precious. Nothing changes until it becomes what it is. The surest way to fail at your goals is to fail to honestly acknowledge where you are at and what your true feelings of frustration and pain are. You must master the ability to say "no" to others if you are going to succeed in life. The four critical elements to success are: 1) You must respect the difficulties and challenges of the task at hand 2) You must believe that you can succeed 3) You must have a plan and 4) You must follow your plan. You May Be Saying To Yourself, "But I've Already Tried Programs Like This Before And They Never Work For Me." First of all, there's never been another program just like this. Secondly, remember that all change is difficult and success usually comes slowly only with consistent effort and repeated disappointment along the way. So if you've come this far and been disappointed in the past, you need this course now more than ever before. How close are you to finally realizing your dreams and goals in life? Now is not the time to give up. The very fact that you are here reading this far, tells me that some part of you knows, some part deep inside that this is the very next step you need to take. It will, in fact, be my great honor and privilege to help you along the way. For most of us, personal growth and success is a never-ending lifetime pursuit, replete with obstacles and disappointments along the way. But one success builds upon another, and soon, you too can be living the life you dream of. Who in the end, really succeeds? Those who never stop trying. Never cease your efforts to become more, to achieve more, to contribute more. In fact, the single most important ingredient for long lasting success is persistence. Remember what Einstein said, it's 1% inspiration and 99% perspiration. All healing and personal growth involves making the invisible, visible; making the impossible, possible. All lasting change begins in consciousness, i.e. your mental and emotional awareness of who you are and what you are capable of. Most people think "I'll believe it when I see it." The truth is, "You'll see it when you believe it." Fear will never leave you. For lasting success, your passion must overwhelm your fear. There are three basic kinds of people in life: 1) The Dabbler 2) The Stresser and 3) The Master. You must become a Master. What is a Master? One who understands that the way to ultimate lifelong success is to practice the fundamentals every day. The key to mastery is how we handle the plateaus in life, i.e. boredom, laziness, lack of progress and procrastination. Your failures are nothing more than feedback about what is not working in your life. Magical thinking may sabotage your success. What is the worst kind of magical thinking? The kind that says, "I've done this already, give me something new to work on. I'm tired of practicing the fundamentals." Mastery is more of an attitude than an aptitude. Winning is not the true victory in life. It is kind of person you become as you meet the challenges and obstacles in life. It is in the reaching, in the striving to achieve something valuable that you expand as a person. Changing old habits and instituting healthy habits in their place is no less a work of art than writing the next bestseller. Improving your character is the ultimate challenge. You must set goals that are high enough that in the process of achieving those goals, you become someone worth being. No other factor will determine your likelihood to succeed more than what you say to yourself when you fail. Failure is nothing more than the successful realization of one way that something will not work! You have within you, the power to accept any situation, any outcome or any event in your life as either failure or feedback. There are two great teachers in life: 1) wisdom and 2) suffering. Which teacher is your favorite? There are two great times to learn in life: 1) times of inspiration and 2) times of desperation. Are you learning from both? Desperation is a great teacher because it creates, within each and every one of us, a compelling reason to change. Two people read the very same book. One is inspired to make changes in their character and philosophy that changes their destiny forever. The other does nothing. Which one are you? To create lasting success, you must create an emptiness, an openness to receive. Inspiration is not something that happens to you, it's something you open yourself up to. There is a story of two wise men speaking to one another. The first asks, "What makes a great wise man?" The second one responds, "That's easy. A great wise man is one who never stops seeking to become wise." "That's crazy," says the first, "because he already is a great wise man." "Yes," says the second, "but that's only because he never stops trying." This is the spiritual paradox. If we believe we have already achieved greatness in life, that greatness eludes us and oftentimes disappears. We must always continue to grow, to evolve, to change and to pursue greatness. It is only in the pursuit of greatness that we truly achieve it. We must always strive to become more than we think we are capable of becoming. We must always strive to contribute more than we think we are capable of contributing. We must always strive to be kinder, more loving, more caring than we are. This is what makes for greatness. This and only this . . . the endless pursuit of greatness: in body, mind, spirit and community. Connecting your goals to something soulful, purposeful and meaningful, is like giving wings to your dreams. Compelling goals, meaningful pursuits and a purposeful life all emanate from soulfulness. You were put on this earth to accomplish great things. If your goals are not connected to a deeper purpose or meaning in your life, your chances for long-term success are minimal. A Master was once approached by a disciple with a long list of his needs. The Master looked over the list quite carefully and then said to his disciple, "I can see that you have given a great deal of attention to what you need in life. Have you given equal attention to how you are needed?" Have you? Lasting success and fulfillment come when you use the special talents, gifts and skills you have been given to contribute to the betterment of the world. Soulfulness is a measure of your ability to transcend your own personal needs and interests in order to help someone else with their needs. The fundamental force behind creating true health, happiness and success in life is coming to believe -- in your mind, body and soul -- that you are blessed with special gifts that are uniquely yours. When you channel your energy into creating a better world, you tap into reservoirs of health, vitality and enthusiasm that can make the most difficult dream a reality. You need a mission statement to succeed. What is a mission statement? It is a single sentence that defines the purpose of your life and summarizes the essence of who you are, why you are here, what your gifts are and how you are to contribute to the betterment of the world. Try not to become a person of success but rather a person of value. In order to achieve lasting fulfillment and happiness, it is essential that you understand your values in life - and understand that doing good is the greatest value. The two most powerful forces affecting your values in life are love and fear. Why are values so important? They determine what you are willing and/or not willing to do. Values move you beyond choices that are made based on the simple pleasure/pain model of behavior. Values, in their deepest sense, are connected to the spiritual level of your life. When you truly understand, examine, explore and choose your values carefully, they provide the direction and momentum for lasting success, happiness and fulfillment in life. Happiness is not attained through self-gratification but through fidelity to a worthy purpose. When you examine life from a spiritual perspective, there are really only two forces in life: those of light (goodness, love, fulfillment, belonging, etc.) and those of darkness (evil, fear, lack of fulfillment, abandonment, etc.). The great spiritual masters teach that all our choices in life are really made with one purpose in mind: to reconnect with the light, to reunite with goodness, acts of kindness, love, peace and fulfillment in life. If you learn to be happy inside no matter what is happening outside, you have access to a treasure that will enrich and empower you for a lifetime. To be a true winner in life, you must know the story of "The Four Horses." They are: 1) the poor horse 2) the fair horse 3) the good horse and 4) the excellent horse. All positive life change, all progress, all true growth, all lasting happiness derives from a change in the meaning you ascribe to the events that happen to you. The "things that you say to yourself" when good and bad things happen to you become the "the meaning" you ascribe to events and situations in your life. What is the meaning of failure in your life? Your mind is like the projector and your life is like the screen. If you want to change the image you're seeing of yourself, you can't walk up to the screen and pull it off. You must go to the projector room -- your mind -- and change the image there. When you order You Can Do It! A Personal Coaching Program in Goal Achievement and Attitude Adjustment, you gain access to a treasury of inspirational and motivational technologies, stories and proven methods for change and personal growth that really work. But you get much more than that. You get real-life teachings from some of the most successful go-getters and spiritual masters in the world. Along with this, you get examples of how to use these techniques along with dozens of some of the most inspirational and uplifting stories, powerful vignettes and motivational thoughts ever written. ... I take actual real life examples and guide you through a step-by-step process for achieving your goals, giving you detailed instructions and insights that can save you thousands of dollars in therapy, doctor bills and guesswork about becoming all that you are capable of becoming. It's as if you're right beside me, just like one of my very own patients, learning directly from me as I show you, precisely, how to discover a new sense of clarity, hope and optimism regarding actually achieving the life you now only dream of living. It's a personal visit with your doctor in every e-mail. You will discover, step-by-step, precisely what to do to march confidently in the direction of your dreams and discover your true sense of meaning and purpose in life. I have distilled out the very essence of goal-setting strategies and attitude adjustment techniques so that you get the MAXIMUM response in the least amount of time. Learned helplessness is a form of self-talk that is etched in your mind by previous fear, pain or failure. To become a winner who is inspired by failure rather than a loser who is defeated by failure, you must overcome any remnants of learned helplessness in your consciousness. Feeling helpless is a learned phenomenon and can be unlearned. The "Three P's" of overcoming learned helplessness are: 1) Don't take things personally 2) Realize that they are not pervasive and 3) Remember that they are not permanent. Fire is the test of gold; adversity is the test of strength. You need powerful techniques and strategies for helping you to deal honestly and courageously with negative, painful and adverse circumstances. The formula for true self-actualization in life is E + R = O. Event + Response = Outcome. This formula teaches that no matter what event you face in life, the ultimate outcome of that event will be determined by your response to it. Powerful. A truly empowering life comes from your ability to choose clearly and wisely from alternatives, not from reflex reactions to life's adversities. Why do some people choose to focus on pain, misery and despair -- while others focus on joy, happiness and possibility? This is the power of attitude in life. We live in parallel worlds. There is always pain and misery to focus on. There is always joy and light to focus on. Every worthy goal lies at the end of a road filled with obstacles, pot holes and detours. If you don't have the right attitude toward difficulty, you will never make it to your destination. No one really knows enough to be a pessimist. You cannot pretend to feel happy or positive but you can choose to behave happy and positively. That comes from moral integrity and a belief in the value of goodness. Mastering the ability to choose what you focus on is at the heart of every true winner in life. You must learn about the power of "both/and" and "either/or" thinking in order to succeed in life. You must learn about "The Comparing Mind" in order to truly understand what it takes to be happy. "The Comparing Mind" represents your natural tendency to compare your present experience to some standard of truth, perception, experience, expectation, hope, fear or belief. You can be so easily seduced by your expectations of what must occur for you to be happy, that you completely miss the joy and blessings that exist around you right now. In order to draw upon the full power of your mind, you must learn how to turn statements of limitation and not-enoughness into empowering questions. For example, "I don't have what it takes" turns into, "What do I need to do, know or learn to have what it takes?" The goal in life is to expand the vessel of your consciousness so that you can increase your capacity to hold the light in life, i.e. the good things. There may be leaks in your vessel that need repair. What are these leaks? Fear, ego, unresolved anger, resentment, self-absorption, greed, poverty consciousness and the like. You must learn about the Japanese legend of "the Sword, the Jewel and the Mirror" in order to fully develop your strength, prosperity consciousness and ability for self-reflection in life. Regret for the things we did can be tempered by time. Regret for the things we never did is inconsolable. The key to lifelong success: "Fall seven times, stand up eight." I not only give you practical and easy-to-follow strategies for achieving your goals . . . I not only provide you step-by-step instructions for achieving a level of mastery over your life . . . But in the process, I also pull from thousands of inspirational ideas and motivational stories to give you a renewed sense of hope, courage and optimism that is critical to living a meaningful and balanced life. Day after day, e-mail after e-mail, for eight full weeks you will have the opportunity to genuinely rewrite the story of your life in a way that brings out your inner courage, faith and determination to achieve a happier, more fulfilled life for yourself. But, before we discuss what you will get, let's ponder a really important question . . .
"What's The Cost Of Not Signing Up?" It's true, there's a cost to purchasing any book, program or course that will help you in life. Nothing worth its weight is truly free in life. But more importantly, you need to ask yourself, "What is the cost if I don't sign up for this program?" How many thousands of dollars are you losing each month by not achieving your goals? How many more thousands of dollars could you earn each month by getting that new job? Completing that new course you've been meaning to take? Having the courage and conviction to finally start your own business? What is the cost to your health and well-being by not losing that weight now? How much lost revenue are you throwing away due to illness from poor health habits? What is the cost of giving up on your dreams because you don't have the physical energy and stamina to do what needs to be done? How many moments of happiness are you missing by not achieving your goals? Going after your dreams? What is the cost to your health of staying at that miserable, toxic job you have because you are afraid to move on? How many more years will you sacrifice your soul because you're too afraid to really go for what you want in life? Can you put a price on that? What is the cost to your psyche of knowing that you did not do all that you could do to make this a better world in which to live? That you did not utilize your gifts to the fullest in life? That you did not make the difference that you know you could have made in contributing to the betterment of community and humanity? Can you really afford the cost of not achieving your dreams in life? Isn't that a price too steep to pay? Do you want to look back at the end of your life with regret and disappointment? Or do you want to look back with great joy and fulfillment knowing, in your heart of hearts, that you lived life to the fullest? Now's your chance to use my extensive experience to your advantage, saving you loads of precious time, therapy and costly mistakes! 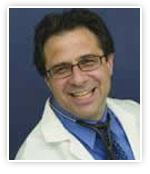 Imagine what it would be worth to have a Board-Certified Family Practice M.D., who is an expert in mind/body medicine, with a concierge medical practice where patients pay over two thousand dollars a year (above and beyond their insurance costs) just to consult with me about their health and wellness concerns, personally give you dozens of real-life strategies, ideas and tips you can apply right away to produce maximum response with all your efforts at achieving greater physical, emotional, mental and spiritual health in life. Imagine how powerful it would be to learn from some of the most successful people alive, how to achieve true success and balance in life, blending financial success with spiritual peace of mind. Let's face it, having all the money in the world, but no friends to share it with you is fruitless. It takes the right blend of financial and spiritual growth to truly achieve all worthy goals in life. That is what you will get in "You Can Do It! A Personal Coaching Program in Goal Achievement and Attitude Adjustment" -- a blend of goal setting combined with authentic spirituality. You will not find this information available in any other program. Imagine what it would be like to learn tested strategies for converting stress into serenity, negativity into optimism and hopelessness into hope. With every new e-mail, you will learn new strategies for overcoming inertia and negativity. Realize what you truly want in life? Overcome disappointment in your life? Why not try it now? "Somewhere Deep Inside You Know That You Have What It Takes To Succeed"
Why not let me help you? Achieve more in your life. Experience more in your life. Contribute more in your life. Enjoy more in your life . . .
more joy, more love, more passion, more money, more success, more fun, more happiness, more free time, more meaning, more friends. you will begin to find the self-confidence, happiness and infinite healing power that lies within you to truly live the full and meaningful life you were meant to live. 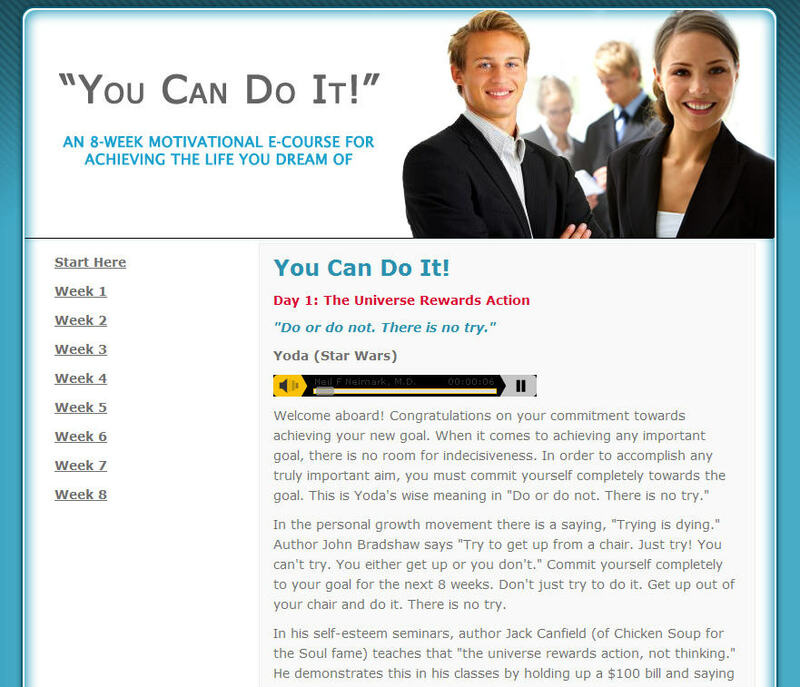 Join the thousands who are already benefiting from the life-changing material found in the "You Can Do It!" e-course. I'm confident this course will be the best investment you'll ever make in self-help information. As a matter of fact, I'm so confident "You Can Do It!" will become the most potent weapon in your goal-setting and attitude adjustment arsenal, I completely guarantee your satisfaction for a lifetime. Here's How to Get On The Fast-Track To Your Goals Now -- Whether They Are Physical, Mental, Emotional or Spiritual! Order "You Can Do It! A Personal Coaching Program in Goal Achievement and Attitude Adjustment" now. It's YOUR time to succeed! If you went to a personal trainer at the gym just three times a week for the next eight weeks, it would cost you $960 to get yourself in shape. With "You Can Do It!" you get the same level of motivation, inspiration and accountability seven days a week for the next eight weeks. If you went to a therapist or counselor twice a week for the next eight weeks, it would cost you over $1280 to get yourself in psychological shape, work on overcoming your fears and overcoming recurrent patterns of negativity and procrastination that keep you from achieving what you want in life. With "You Can Do It!" you get the accumulated wisdom and expertise of some of the greatest psychologists, psychiatrists and personal growth gurus seven days a week for the next eight weeks. If you went to a medical doctor once a week for the next eight weeks to help you achieve your health related goals in life, it would cost you a minimum of $600 to help keep you on track. With "You Can Do It!" you get my professional expertise and experience to guide you safely and surely towards your goals seven days a week for the next eight weeks. . If you went to a spiritual mentor dedicated to helping you see and actualize your true potential, find your bliss and realize authentic fulfillment in life, you could not buy it at any price. It would be priceless. With "You Can Do It!" you get the distilled wisdom of some of the greatest spiritual masters ever to walk the earth seven days a week for the next eight weeks. Your low investment for this one-of-a-kind e-course is not going to cost you $1280 like it would at a therapists office. It is not going to cost you $960 like it would to hire a personal trainer. It is not going to cost you $600 in doctor's bills. It won't even cost you half of that! It won't even cost you a quarter of that! Daily exercise and homework assignment (a short one!). Don't worry, this is not like the assignments you used to do in school, it is not busy work designed to keep you occupied. These are life-changing assignments that drive home the day's lessons so that you fully integrate these principles into your mind, body and soul. Weekly review sessions to help you completely absorb these lessons into every fiber of your being in order to truly succeed in life. You can't just read about them. By reviewing what you have learned every week, your success will build and build over the course of eight weeks. You will begin to absorb the lessons and have them penetrate into your very being. This is the only way to lasting change.
. . . listen to a live audio message of each days lesson.
. . . download the entire e-book containing every day's email lesson in PDF format.
. . . download an entire MP3 audio version of each days lesson that you can listen to directly on your IPOD or MP3 player.
. . . receive all updates, revisions and new motivational strategies as a lifetime member. You receive all of this for only $147. I probably won't keep this price for long. In fact, as new materials are added to our exclusive membership only website, we're likely to increase the cost significantly. Think of it this way. $147 is less than the cost of one really nice meal for two at a fine restaurant. That's all you need to give up for this one- of-a-kind, life-changing opportunity. Don't miss out. Order now. Get your LIFETIME MEMBERSHIP now. Click Here to Order "You Can Do It! A Personal Coaching Program for Goal Achievement and Attitude Adjustment" Now. Of course, I CAN'T guarantee you will grow, learn and integrate these concepts and teachings. That is up to you. You must actually take the time to follow the exercises and do the assignments in order to derive the full benefit from this course. But I will, however, promise you this: every single one of you will have the opportunity and all the tools necessary to craft a personal and powerful growth experience, if you will only follow my simple, guided step-by-step exercises. Unlock Your Full Potential Right NOW! don't make my living teaching about goal setting, life change and self-actualization. Patients, just like you, who are wanting to achieve more in life, whether they are dealing with physical illness, emotional distress, financial difficulties, disappointments, depression, spiritual emptiness ...or whatever ...the whole gamut of life's difficulties. I know the toll that physical illness and spiritual confusion has on the mind and spirit. I see the long-term effects of pain on the body and psyche. I witness, every day, the emotional devastation that comes from a fight with cancer. I see how toxic jobs and marital stress can destroy patient's health and well-being. tap into the power of their inner healer . find the courage, strength and optimism necessary to fight the good fight . make the changes required for true healing . let go of the things they may be hanging on to that prevents them from growing and healing. I do this, day in and day out. I don't just talk about it. I have the knowledge, experience and ability to help you not only reach out for the best that medical science has to offer, but also to reach within to mobilize your own internal resources for healing. I have the knowledge, experience, training and ability to help you reach your goals for a happier, healthier, more fulfilled life. Take a look at my website --www.TheBodySoulConnection.com -- and explore all the tools, newsletters and articles I have available to help you on your path towards health, healing and fulfillment. It's content rich and filled with invaluable information on the healing power of the mind, body and spirit connection. Patients have used my tips and techniques to help them overcome some of the most difficult times in their lives. And soon, so will you! Still not convinced? Well, here's my promise to you. Consider the fact that $147 is a minimal investment for the achievement of your dreams, yet it will provide you with a lifetime of tools, techniques, inspirational stories and motivational ideas guaranteed to move you towards greater fulfillment in life. You will be hard pressed to ever find this kind of information anywhere else. I think you'll agree with me that this is one of the best bargains going. Most other sources for such a personally crafted personal growth process would cost five to ten times as much. But consider something even more important. What you really need to consider is what you're getting for your money, because it's more than just another course on goal setting and attitude adjustment. It's more than just another generic "write down your goals, prioritize them and set up action steps to achieve them" advice course that you'll read, nod your head at, put on the shelf and never implement in your life. "You Can Do It!" gives you the step-by-step details that leave no questions in your mind, so you know precisely what to do immediately to begin moving in the direction of your dreams. You will not only begin realizing your dreams, you will also find the mental clarity and spiritual discernment to begin transforming yourself into the person you are truly capable of becoming. You'll get all of these invaluable components of success for just $147. If you commit yourself to the next eight weeks, follow the exercises in the course, do the assignments and for any reason, whatsoever, don't feel that you are benefiting from the material in "You Can Do It!" Now, in case you have any lingering doubts whatsoever, I want to make it foolproof for you. You see, I completely guarantee your satisfaction not for 30 days, not for 90 days but for your entire lifetime! You won't find that kind of guarantee anywhere I know of. The truth is, you'll NEVER have to worry about a refund. Why? Because once you actually put the strategies and techniques you'll find in "You Can Do It!" to work for you, I'm confident you'll hardly believe the improvement in your physical, psychological and spiritual well-being. And for only $147 to boot! When you purchase today, you instantly get download instructions for the following 3 free bonuses . . .gifts which, if integrated and applied, are in fact worth more than 3 times the price of the course itself! Bonus #1: Special Report: "Five Things You Absolutely Need to Know to Achieve Optimal Health"
Health is both a science and an art. There are unknown factors in the healing equation. To increase our capacity to fight off disease, we must reach out for the best that medical science has to offer, and we must reach within to mobilize our own internal resources for healing (the art). Our physical health occurs in a larger context of mental, emotional and spiritual health. While there is no guarantee of a physical cure, what is always available to us is a sense of wholeness, acceptance (of self and others) and inner peace. Healing is the process of moving towards wholeness, affirming life and living fully. Physical health or illness is only the tip of the iceberg. Achieving optimal physical health requires us to look beneath the surface at the lifestyles we choose, the belief systems and attitudes we hold, and the choices we make about our spirituality, our inner life, our relationship with self and others, and our sense of purpose or meaning in life. The healing system lies within us. The body has its own natural ability to heal. In certain situations, surgery or drugs may be life saving, but it is the internal healing system that allows ultimate life. When we fully accept and express all parts of ourselves (our physical, mental, emotional and spiritual bodies), the healing process is strengthened and optimal healing can begin. To activate our internal healing system, we must participate in getting well. It is our participation in our own healing that fully accesses the healing system. Participation requires that we develop a passionate involvement with life, that we find our own meaning in illness and in health. Healing, in its essence, is an adventure in self-discovery. 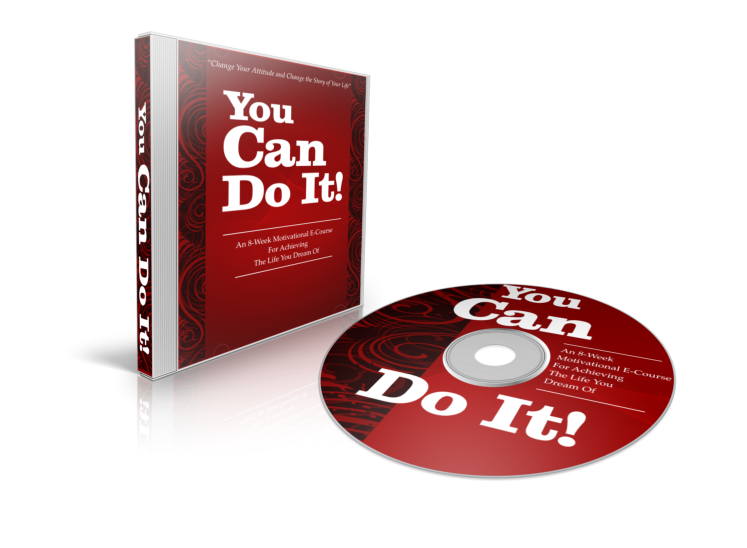 This special report is free with your purchase of "You Can Do It! A Personal Coaching Program in Goal Achievement and Attitude Adjustment." Bonus #2: Second Special Report: "Emergency Stress Reduction Journaling"
In order to fully understand how to deal with stress, we must first understand the workings of our mind and body when we are under stress. The foundation of this understanding comes from the discovery of the "fight or flight response" by Harvard physiologist, Walter Cannon. To protect ourselves today, we must consciously pay attention to the signals of fight or flight To protect ourselves in a world of psychological—rather than physical—danger, we must consciously pay attention to unique signals telling us whether we are actually in fight or flight. Some of us may experience these signals as physical symptoms like tension in our muscles, headache, upset stomach, racing heartbeat, deep sighing or shallow breathing. Others may experience them as emotional or psychological symptoms such as anxiety, poor concentration, depression, hopelessness, frustration, anger, sadness or fear. The report goes on to discuss the many ways you can counteract the toxic effects of stress in your life, including two powerful journaling techniques. If you've got stress in your life, this report is invaluable, but it's yours absolutely free with your purchase of "You Can Do It! A Personal Coaching Program in Goal Achievement and Attitude Adjustment." Bonus #3: Special Report: "Two Powerful Antidotes to Stress!" In this concise and powerful report, you will learn about the dynamic duo of stress reduction: The Relaxation Response and The Power of Positive Belief. How to maximize the power of positive belief to help you heal faster and more effectively. How to mobilize the power of your "inner pharmacy" in order to change your very chemistry and augment your healing response! How physical exercise alone is not enough, you must also learn to exercise your positive beliefs and attitudes, for they are often the rudder that determines your true course in all health and healing. Take Control of Your Health And Well-Being Today! Now that I've shown you this no-risk way to gain new mastery over your life . . .
. . . the next move is up to YOU. If you've read this far, you know that you have a strong interest in self-actualization and achieving your dreams in life. All that's left is to take the action to do it. Stop gambling with your health. Reach your full potential for happiness and peace of mind in life. Grow in wisdom and fulfillment . Awaken your spirit of creativity and healing. Feel more confident in all that you do. Learn the skills that will help you achieve any goal you set in life. Take control of your physical, emotional and spiritual health. Remove your mental and emotional blocks to success. Increase your self-esteem forever . ... then, you owe it to yourself to take full advantage of this limited, risk-free offer right now before it's too late, as I will be removing some of the bonuses and very soon. So do yourself a great favor. Get your LIFETIME MEMBERSHIP to "You Can Do It! A Personal Coaching Program in Goal Achievement and Attitude Adjustment" today, won't you? Yes, Dr. Neimark! I Want To Start Realizing My Dreams And Overcome My Fears NOW! I'm ready to quickly and exponentially improve my life, happiness and well-being. I understand that "You Can Do It! A Personal Coaching Program in Goal Achievement and Attitude Adjustment" is the most comprehensive and authoritative source on life change, goal setting and attitude adjustment that exists. I understand that my credit card will be billed $147 and if I am not happy for any reason, I can get a full, "no questions asked" refund of my money, ANYTIME. receive all "You Can Do It" updates, revisions and any new strategies free for my entire lifetime. I also understand and agree that you have not made any promises or guarantees, whether stated or implied, that I will produce any specific result in my physical, mental or emotional health as a result of taking this course. Finally, I understand that my purchase is covered by your 100% satisfaction guarantee. If I'm not satisfied I can cancel and get a refund on my purchase price at any time during my entire life. This is the Ultimate Self-Actualization Course for the Achievement of All Your Goals and for the Renewal of Physical Health, Emotional Calm and Spiritual Well-Being. The lessons in this course are designed to help you achieve the level of fulfillment you are seeking, or you get your money back, no questions asked. In today's overstressed and busy world, plain "how to," what-to-do advice alone just won't cut it. You need more. You need a combination of powerful advice, proven strategies, and specific examples. That way, you can get on the fast track to success in all areas of your life: physical, emotional and spiritual. "You Can Do It! A Personal Coaching Program in Goal Achievement and Attitude Adjustment" is the only e-course, in fact, the only source, with this kind of comprehensive information. You won't find anything like it elsewhere. Not in any other e-book, website or course. Get your LIFETIME MEMBERSHIP to www.PersonalCoachingSecrets.com today and have instant access to a lifetime of goal achievement, character development and attitude adjustment. You won't regret it. CLICK HERE to start making your dreams a reality. 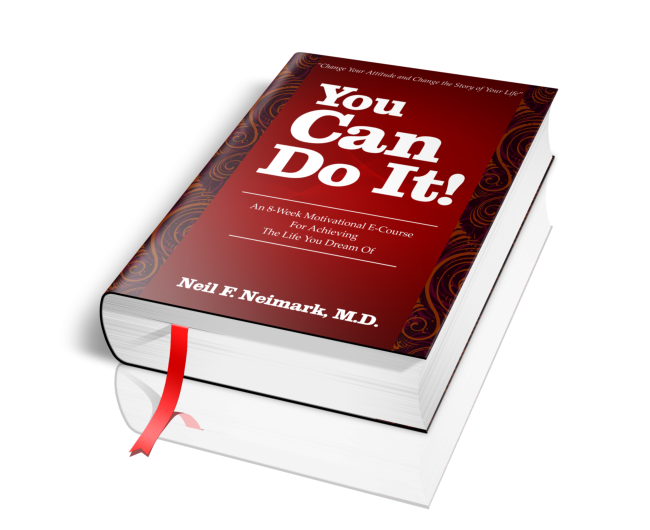 © 2010 Neil F. Neimark, M.D., Inc. and www.PersonalCoachingSecrets.com. All Rights Reserved.